Home › Health & Wellness › Oh that aching back – or is it? Dave is thinking PSOAS! 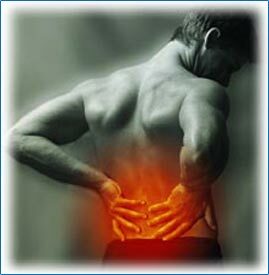 You know the feeling, your lower back is tight and maybe in a spasm, possibly it w raps around the hip bone area. You can’t move without pain, and sleep is out of the question. It’s a real pain in the back, but it might not be your back. 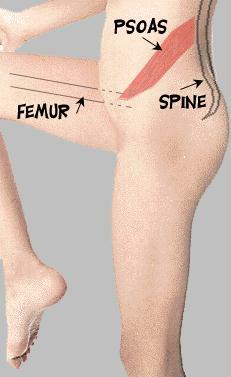 It could be your psoas muscle, in the front. Oh yes, many a back ache is really a tight psoas muscle. You can see a doctor, get a prescription for muscle relaxers, go to physical therapy – or you could just get a psoas release treatment in less than an hour and be on your way. Of course, some back issues are very serious and require medical attention, but many types of back pain can be relieved by a therapeutic massage. The psoas is a huge muscle that wraps around each side of your body, following the hip bone; when it tightens up, you are in pain. The simple act of sitting too much, or sleeping in a fetal position, can put your psoas in a knot. To release a psoas muscle, a licensed therapeutic massage therapist will press deeply in three areas on each side of your abdomen. You also can get some relief from deep lunge stretching, often seen in yoga classes. So, the next time your back tightens up, think about calling Dave and scheduling a full body massage with a psoas release. If it doesn’t work, you can still see the doctor, get the meds, and sign up for physical therapy three times a week. ‹ Trying to get rid of unsightly cellulite? Dave suggests a glass of water!